Genetics Across the Care Continuum Webinar Series: Best Practices to Identify, Counsel and Manage High-Risk Patients. This webinar series gives best practices for starting and growing a Genetic Cancer Risk Assessment (GCRA) program. Scheduling conflict? You can still participate! All registrants will receive a link to view the webinar recording. This webinar has already passed! To download the recording, please complete the form to the right. Description: Looking to decrease your admin work, but don't know where to start? In this webinar, will hear from Rikki Gaber, MA, MS, LCGC about her experience streamlining her program with technology. 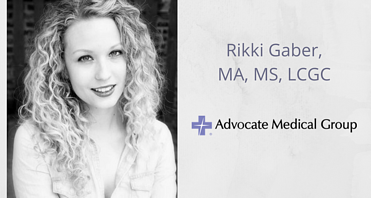 The second half of the webinar will be dedicated to a Q&A with Rikki. We will be collecting all questions prior to the webinar- please make sure to submit them in the form to the right.